Maldives has an abundance of fish. 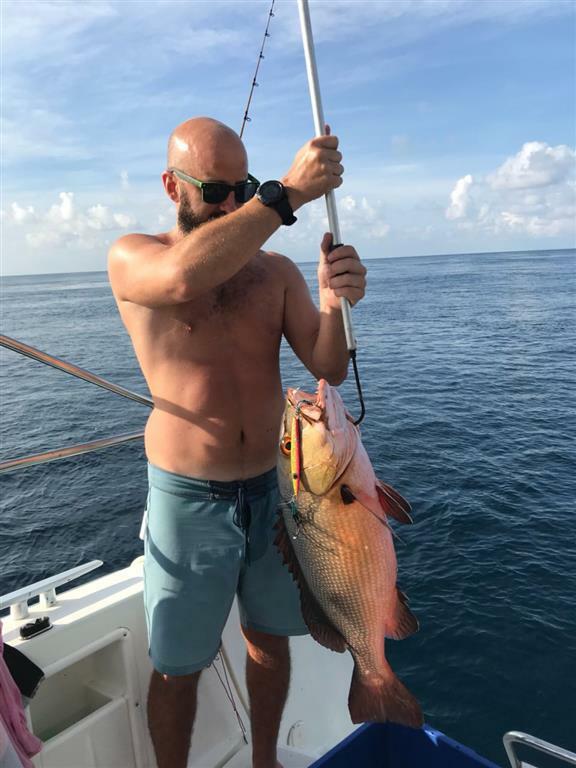 Whether you like popping, jigging, trolling or fly fishing you will be assured of hooking up on your Maldives fishing charter. 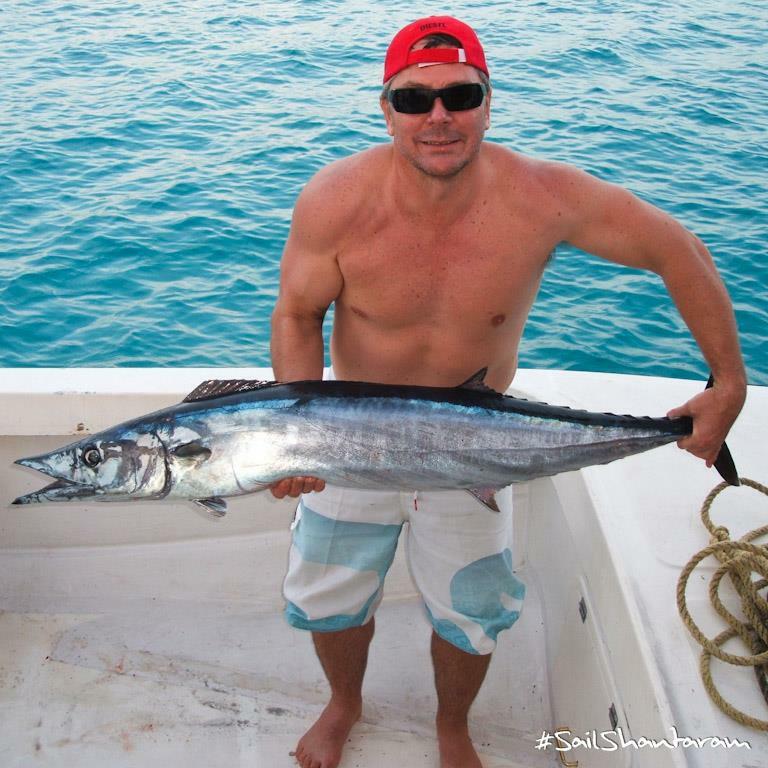 Big GT's are abundant; wahoo, tuna and dorado attack your lures, whilst sailfish and marlin go for the skirts. ​The reef passes and lagoon flats offer a variety of opportunities, and steep drop-off's abound. The prohibition of net and long-line fishing for commercial purposes has sustained the abundance of fisheries in the Maldives. 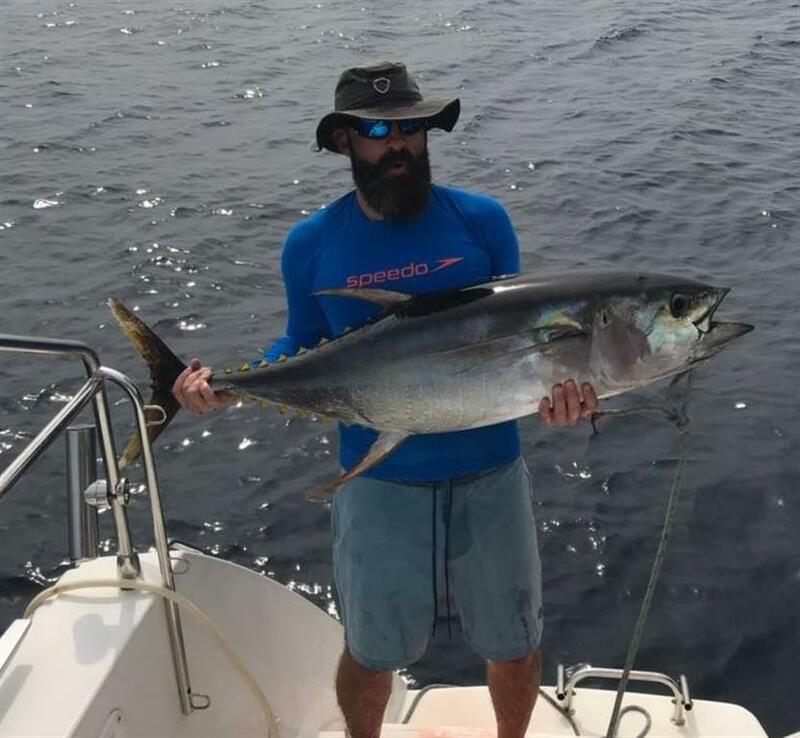 Commercial fishermen use the traditional “line and pole” fishing which prevents by-catch of other species other than their main target, that is tuna. ​Among the game fish species found in Maldives are Giant Trevally, Barracuda, Wahoo, Dorado, Yellowfin Tuna, Sailfish and Marlin. However, abundance of some species varies by season. A Maldives Fishing Charter on board Sail Shantaram will allow you to access remote fishing grounds and isolated reefs, whilst sailing in luxury. 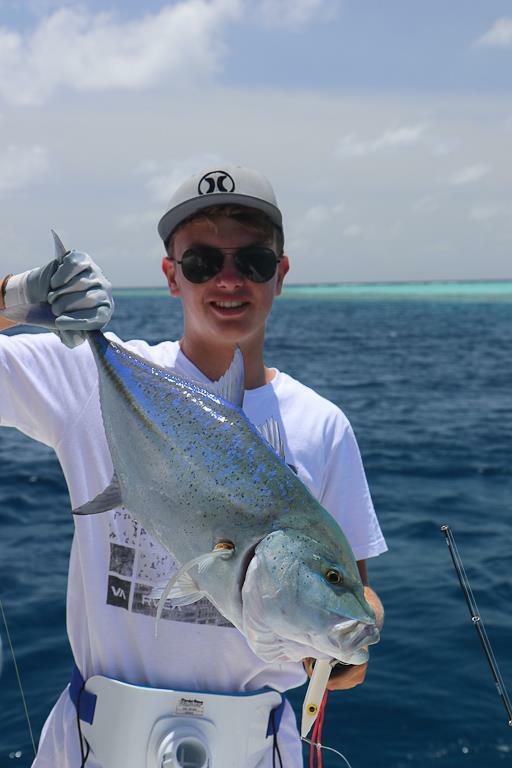 It is the perfect way to combine a Maldives fishing charter whilst bringing along your partner or family. ​Shantaram has a 3.5m Zodiac with 20hp outboard that allows you to access the reefs and drop offs, as well as deserted islands with extensive shallows. 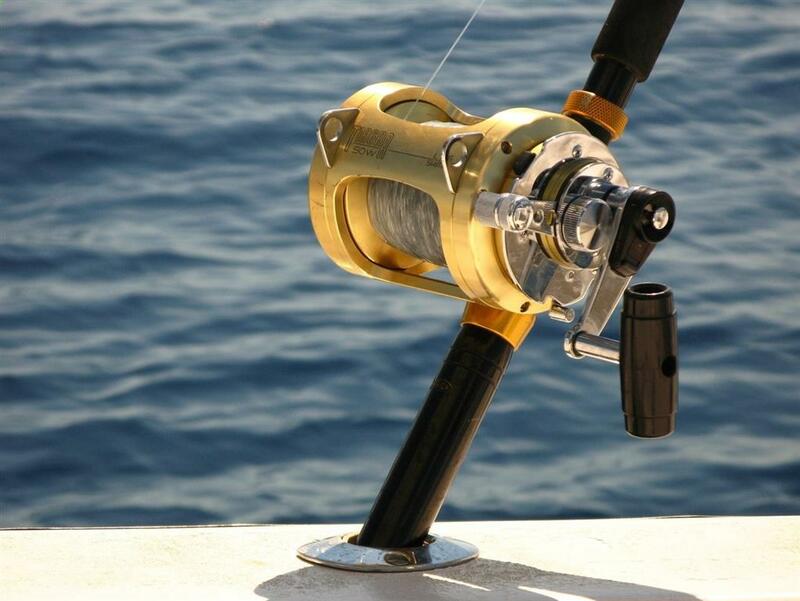 We have a a selection of fishing equipment onboard for bottom fishing, trolling and casting, but feel free to bring your own if you're a keen fisherman. 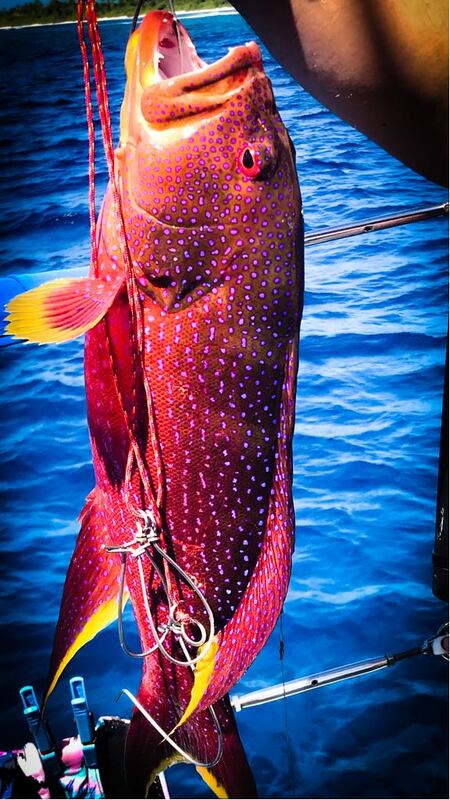 ​There are two seasons in the Maldives, and each season offers a variety of fishing due to changes in currents, visibility in the water temperature and plankton movement. However, due to the onset of climate change the seasons are becoming less predictable. From December the currents start to flow from east to west through the atolls. Water clarity improves to >30m on the eastern side of the atolls and a variety of fish gather there. The flow strengthens in February, but the surface water is calmer. The water temperature rises to 30 degrees and the billfish often hunt a little deeper. These conditions remain quiet until March / April until the onset of the SW monsoon in May. The underwater visibility in the west of the atolls during this time is usually 10 to 15 meters. In the SW monsoon season there is a good chance for Yellowfin tuna fishing on the western side of the atolls. The flow is usually less severe and the visibility is good. The water temperatures drop slightly, which means that the fish are closer to the atoll drop-off. 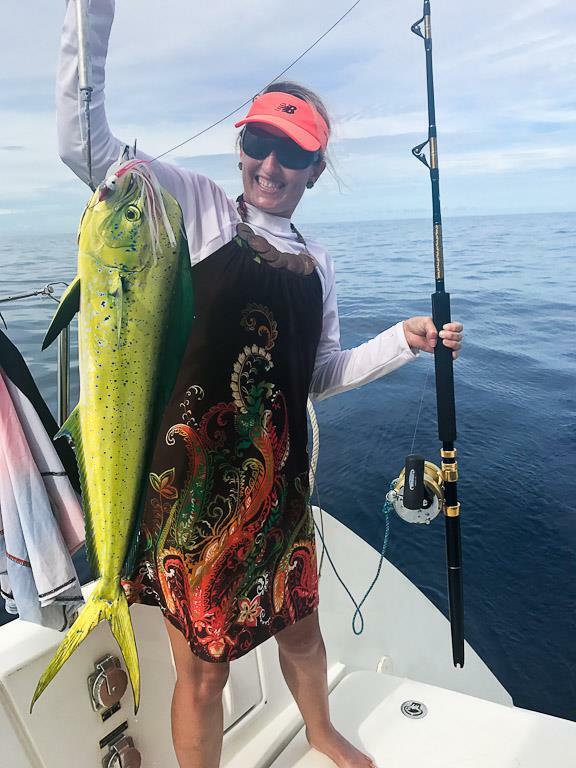 During the southwest monsoon the eastern side of the atolls can also see good Yellowfin conditions - although further offshore (about 10 to 20 km from the atolls). Overall weather conditions can be unpredictable (often strong winds and heavy rain for a period of 3-4 days), however there can be a large variety of fish on offer. 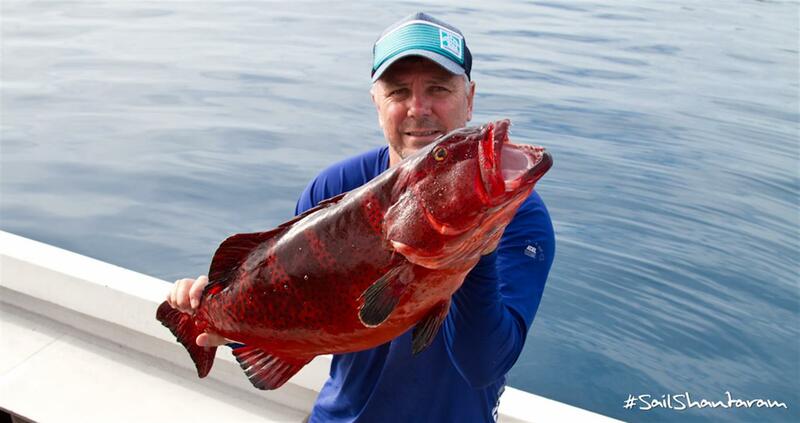 Reef fish such as grouper, snapper, barracuda, various Trevally's and Giant Trevally, Pompano, etc. can be caught year-round.